Disposable Heroes 2 was originally funded through a successful Kickstarter in early 2017. 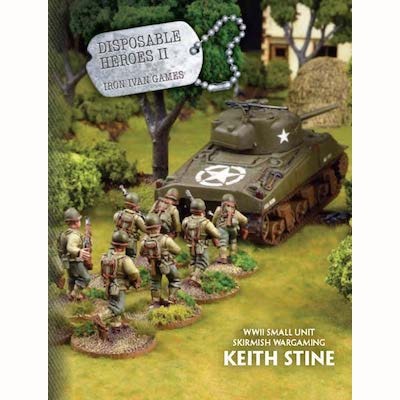 DISPOSABLE HEROES II is a WWII platoon level historical miniature wargaming system. It is designed not just to put you in command of the troops and weapons of a WWII platoon but in the historical tactical situation of a platoon commander. It is your ri? e squads that will carry your attack forward, or be the difference between holding the line or the enemy breaking through. DISPOSABLE HEROES II recreates a realistic tactical battle?eld situation of a platoon commander. This is not just another platoon-level WWII system. DISPOSABLE HEROES II offers a unique tactical challenge with a focus on recreating the actual battle? eld conditions that platoons fought in. 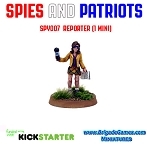 This book is owned and published by the Iron Ivan Games division of Sinister Laboratories, a joint venture between Rattrap Productions LLC and Brigade Games and Hobby LLP.